THE NEW HEART OF THE CITY. 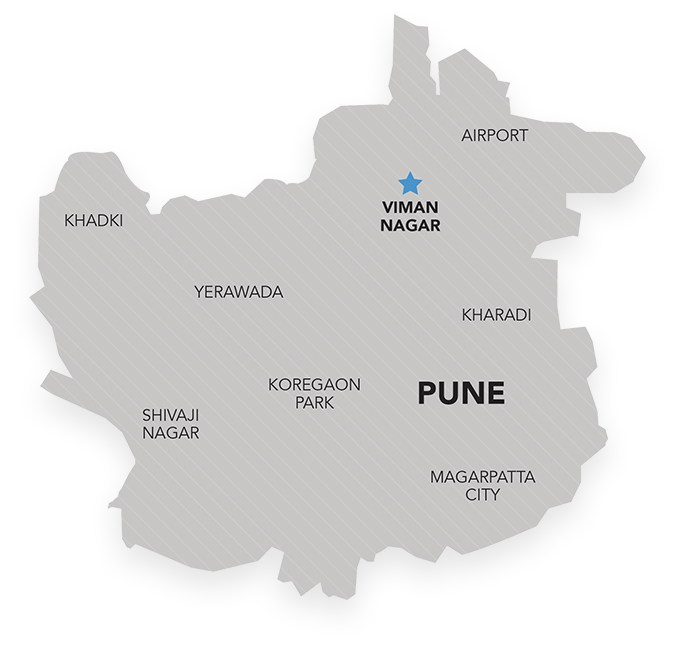 Viman Nagar is the new commercial district of Pune with new developing IT parks, numerous office blocks, international hotels and upmarket residential development. 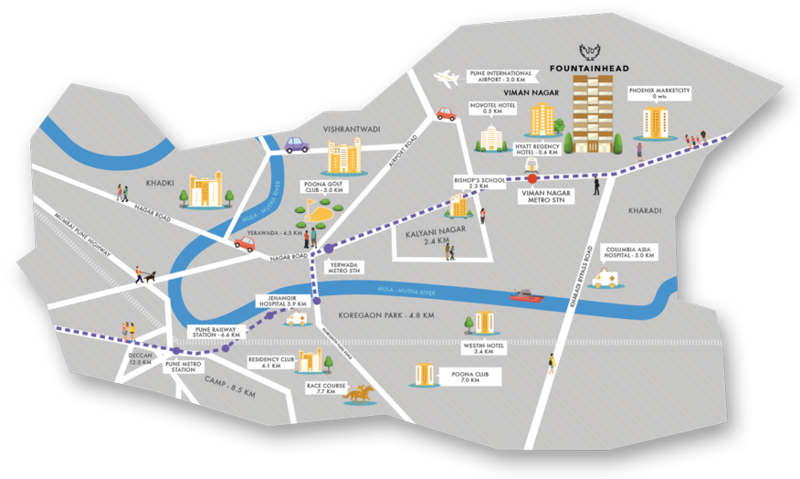 At the heart of this new district lies Fountainhead which is part of the largest mixed-use development in the city - Phoenix Marketcity. A major attraction of Viman Nagar is its proximity to the airport. Viman Nagar today also has the benefit of great connectivity across all forms of transport. From three lane highways to the upcoming metro, convenience of being close to both the railways and the airport makes this the ideal address for any business. 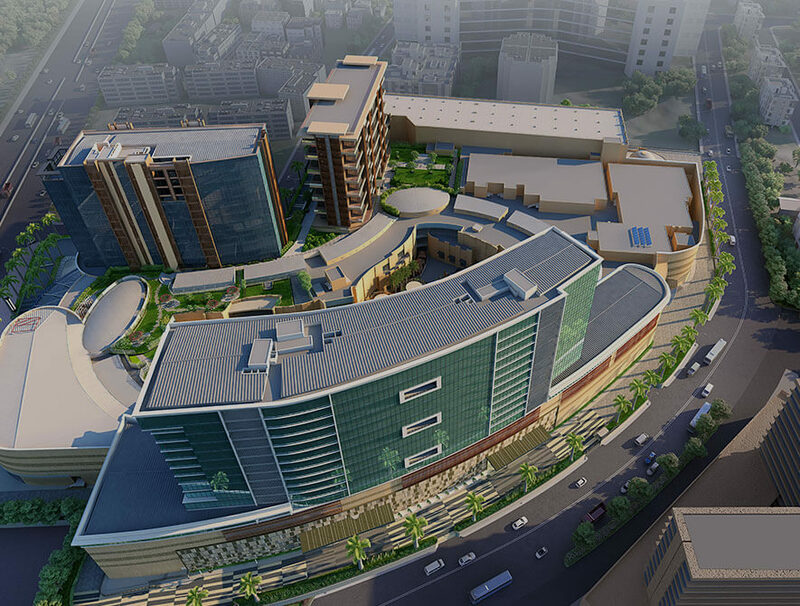 Phoenix Marketcity Pune, is an integrated mixed-use development incorporating shopping, dining, movies, entertainment and much more that delivers a holistic lifestyle and leisure experience. The next generation workforce wants more than just a desk and a place to park. They want an environment that redefines the boundaries between work and play and improves performance. Grab a quick working lunch with the team before the big presentation, or perhaps celebrate cracking that big deal. Or just let your hair down and indulge in some retail therapy. Just stroll over to the building next door– Phoenix Marketcity which offers more restaurants, bars, retail outlets and entertainment options to choose from than you could have possibly wished for.